There is little question today that processes of globalization affect national and local economies, governance processes, and conditions for economic competitiveness in the major urban regions of the world. In most liberal-democratic countries, these processes are occurring according to a rationale which attempts to combine strategies of state-supported development with increasing local-regional governmental decentralization and autonomy. Against this background, the issue of metropolitan development is being redefined worldwide, along with its institutional frameworks, modes of governance, policy instruments, and spatial planning strategies. 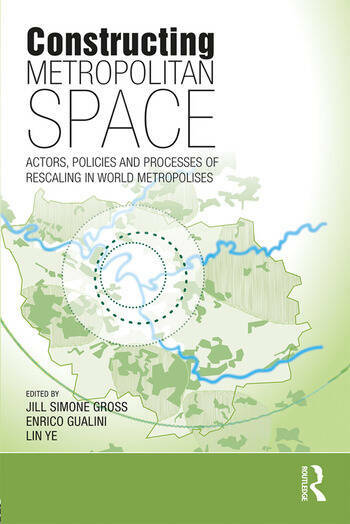 The overarching assumption of this volume is that ‘metropolitan space’, far from being consolidated as a policy object, is currently being redefined and in some instances ‘constructed’ and contested as a scale, through a variety of policy practices related to spatial-economic development objectives. Through case studies drawn from across four continents, the authors reveal a range of interesting cross-national commonalities concerning the power that state actors, situated at various spatial scales, exert as agents in these processes. This volume interrogates key research issues raised by these developments, and is intended as a contribution to the establishment of a globally comparative analysis of the construction of metropolitan spaces and scales under conditions of globalization and neoliberalization. Jill Simone Gross is Associate Professor in the Department of Urban Policy and Planning at Hunter College, City University of New York. Enrico Gualini is Professor at the Institute of Urban and Regional Planning of TU Berlin - Berlin University of Technology. Lin Ye is Professor at the School of Government of Sun Yat-Sen University, Guangzhou.